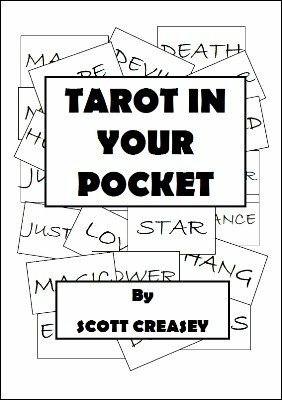 Finally after all that use the same cards to carry out Scott’s own (genuine) Internal triangle Tarot reading, and believe me, once you demonstrate Tarot in your Pocket you will get asked to do readings. Never done a reading before, no worries Scott explains everything you need to know. 1st edition 2009, 13 pages.